There’s a big difference between opening a training session and simply beginning. A strong opener—done when class begins or after returning from break—is a purposeful activity that’s directly related to the content being taught. It’s not a 10-minute monologue, it’s not a list of how the day will pan out, it’s not even the course objectives. The goal? To extend a warm welcome, grab your participants’ attention, break preoccupation, allow for networking, and move them into a place of learning. You want to connect with your audience, you want them to feel comfortable with one another, and you ultimately want them to remember what you’re about to teach. Openers help create an environment that’s conducive to learning. Mystery word. Select a vocabulary word that’s pertinent to the content of the lesson, write a “mystery” word on the whiteboard prior to class, and cover each letter with an index card or Post-it note. Have participants guess letters and reveal them by removing cards one at a time. After the word is guessed, introduce the related activity. Use a visual aid or prop. Visual aids or props can capture the attention of participants without saying a word—and really help to emphasize a point. Rather than relying on the tried-and-true (aka boring and predictable) nametags, posters, and smart boards, try sticky notes, buzzers, chimes, movie clips, and oversized dice. Outline an incident. Create curiosity or intrigue by telling about either a personal incident or making up an incident (“Imagine …”). The more details, the better. (We’re hardwired to enjoy stories.) You can use PowerPoint slides, a movie clip, or a short video to illustrate your point—just make sure it’s relevant to what you’re teaching. Excess baggage. If you’re training participants who clearly don’t want to be sitting through mandatory training, start with a question. “Why do you have to be here?” [pause] “To keep your job and stay employed.” Then ask the people at their tables to share why they don’t want to be there by writing their complaints down on notecards. For dramatic effect, walk from table to table with a small suitcase and ask participants to “unload the baggage” that might keep them from benefiting from the class. After that, follow with a brief table discussion about what they can gain from the session if they’re willing to move past their resentment and have an open mind in the training classroom. Give them plenty of time to think of reasons to want to be in the room (reasons like these two: it will makes their jobs easier and their lives better). How long should openers be? According to Becky in her book Creative Training: A Train-The-Trainer Field Guide, the length of the opener should vary based on the length of the class. If the class is one hour, the opener should be between one and three minutes. If it’s a half-day class, the opener should be anywhere from 5-10 minutes. If it’s an all-day class, it should be 10-15 minutes. If the training goes multiple days, the opener can be as long as 15 minutes. As the trainer, you create the culture you want in your classroom. 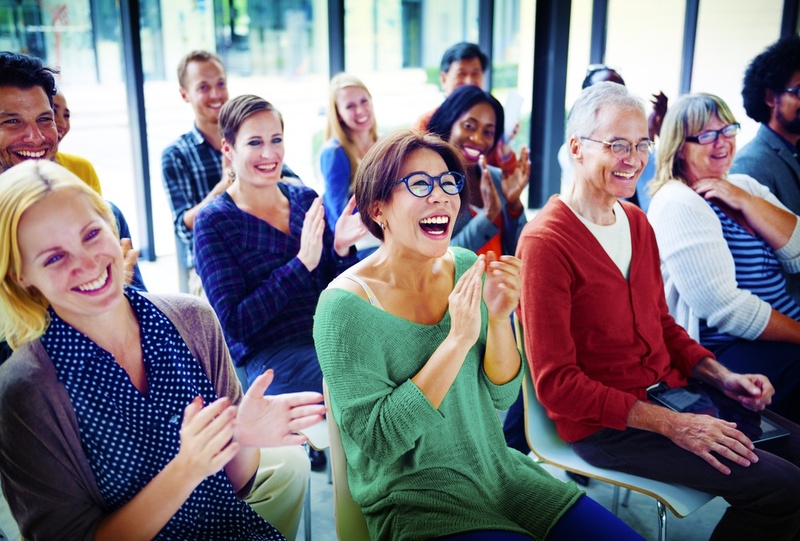 Foster a session of relationship-building and experience-sharing, where people feel comfortable, are engaged, and have fun (even when it comes to mandatory training!). This type of classroom setting ultimately leads to better retention and learning. For more unique openers that will leave a lasting impact, sign up for The Bob Pike Group’s Presentation Skills Workshop.